Very spacious and bright condo full of natural light. Wrap around balcony offers beautiful views of the intracoastal. Brand new 24×24 porcelain floors and remodeled kitchen. New Appliances. New AC and Water Heater. Very large master bedroom includes a big walking closet. This sought-after floorplan features a very practical den and provides a large living space. Split floorplan configuration includes a very big second room. Washer and dryer in the unit. 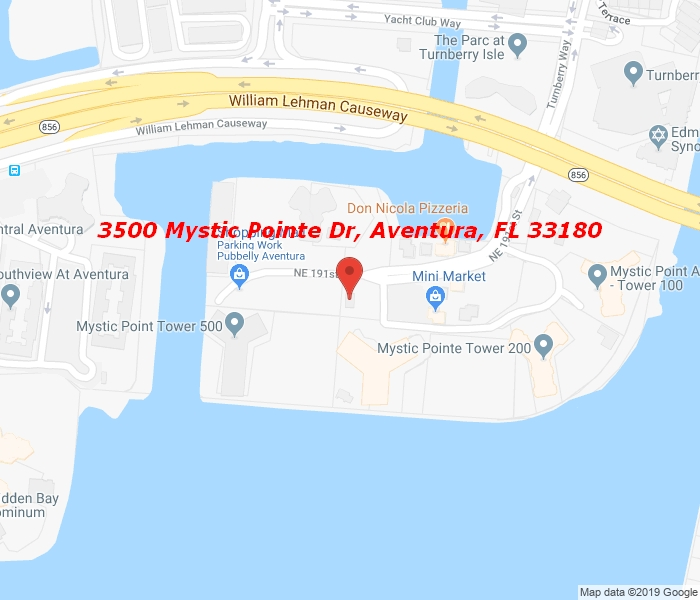 Mystic Pointe is a Full amenities community that includes eight clay tennis courts, swimming pool, Jacuzzi, sauna, fitness center, game room, and more. Located minutes from the Aventura Mall, Sunny Isles Beach, and houses of worship.